Not all coaches need to travel. But, for those who do, it can sometimes be exhausting. In this episode, Robyn Logan and Andrea Lee talk about how to take your business with you when you travel, and how to maximise the ROI for your business, your clients and yourself. Download Full Transcript or listen by clicking on the player above. 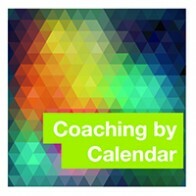 Robyn: Hi, everyone, welcome to Season 2, Episode 2 of CoachStreet. I’m Robyn Logan here in Hong Kong and that’s Andrea Lee in Vancouver. Hi, Andrea. Andrea: Hi from one side of the Pacific to the other. Great to be here. Robyn: Yeah, it’s excellent. I love the whole season thing, it makes me giggle, it’s very funny. Andrea: That’s how people are, actually, with podcast in the big league so get used to it. Robyn: Yeah, that’s right. I’m looking forward to Season 10, people can back order, get the whole collection. Very cool. This episode, we’re going to look at travel, which is no coincidence because I’m actually traveling. You travel all the time. Robyn: It’s a great topic. 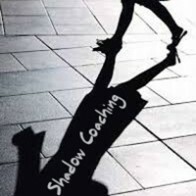 Andrea: Travel and Coaching and what it is like to be a coach who travels, but also the role of travel in a coaching business, a coaching practice. Is it important? Is it essential? How can we make the most out of travel? What are some tips for traveling as a coach and different topics like that which we hope you will find completely fascinating. Robyn, maybe we could start off with you. About how often do you travel? Robyn: Yeah, that’s a good question. I would travel more if it wasn’t for my kids. I can see that I will travel more in the future because I’m running a virtual company so we have 40 staff located around the world and all our students from over 90 countries. The thing I do know when I travel and if I do travel, I always have a meet up even if it’s not the purpose of my travel. I will always, no matter no what city I’m in, connect with our ICA students and have a meet up and it’s so incredibly valuable. It’s so wonderful to meet face to face after online. In fact, Pin was saying, Pin Chen, our Program Director who lives in China…we were talking about the whole offline/online thing because we’re actually thinking of doing face to face training in China next year which is interesting for us because most training companies start a face to face and then they add an online component, but we are always online and we’re adding a face to face component which Pin tells me is O2O, Andrea. Have you heard of that one? Robyn: And it actually comes from e-commerce, just a segway for it, but it’s a term that came about from online retailers having online businesses but then going offline, so going face to face. So for example in China there are a couple of businesses that are just shop fronts. There’s nothing there, it’s just a window, actually, so the rest of the building of the shop is either they’re living in it or using it for something else and the window display is their offline presence in the main street of the shopping center. There are quite few of those. Anyway, we were talking about this whole concept of going from online to offline and we were talking about how to structure the program. Should we start with two days face to face then six months online then end with two days face to face. Pin came up with this interesting concept of….she said we should start straightaway with online and then go offline because she thinks that part of the magic of the ICA meet ups is the fact that the relationships began online. You know these people in quite an intimate way and if the opportunity comes to meet face to face, you make a real effort to do that more than you probably would if you were just traveling to meet a bunch of strangers. Andrea: I would agree. It’s a very fascinating world we live in and I think to really sort of give us a starting point. Especially for coaches who are just beginning, it can be extremely complicated, it can seem like it could be very expensive and confusing, frankly, as to what role travel plays and what role it needs to play. I think, Robyn, I would like to start ….to make sure for the record that everyone who’s listening understand that you actually do not have to have any travel in the coaching business. 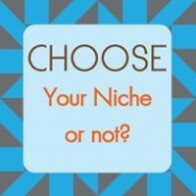 So if you’re like Robyn and you’re a mom or you’re just a homebody like me and you don’t like to travel or you feel you don’t have the start up cost or capital to fund the travel, there is no reason why you cannot rely solely on an online strategy to start there like what Pin is suggesting and gradually, as your lifestyle permits it, you could grow into travel. But if someone who has traveled a lot, not only in my 15 years of being a coach but in previous careers, it can be less glamorous and candidly less profitable than need be. I think it’s very, very costly, not just from a strictly dollars and cents…maybe from a life force energy perspective or just at the acupuncturist, can you tell, life force energy. Figuring out where your personal preferences are around travel, do you want to make it a part of your business, every month you’re going out to certain places? Do you want to do it only occasionally, that sort of thing? You can fix it with other coaches, all different levels with all different kinds of permutation of travel. Robyn: Did you just say, if you’re a homebody like me and you don’t like to travel? Robyn: You travel so much. Robyn: I thought I didn’t hear that correctly. I mean, what you’re saying is absolutely true and you know what, people think travel is glamorous. It’s just exhausting and …particularly with kids. I do actually try to only do it if I have to, but, of course, I also do it because I love it, I do love travel, but I’m surprised that you’re a homebody who would prefer not to travel. Andrea: You know, I think there is a real art and science to figuring out the right amount of travel that makes you happy as a person and as a coach and also help your business to thrive. I firmly believe that for certain target markets, for certain kinds of coaches, travel is an excellent idea. There can be lots of benefits from traveling, especially if you like to speak from stages or you particularly like to network in person, traveling can be really a great way to find great clients around the world. Let’s face it, it is exotic. It is really cool to have a client in Hong Kong, to have a client in Poland, to have a client in Argentina. I mean, I see it as an incredible example of the combination, the magic combination that can happen when you have online relationship, of course, and then you once in a while go ahead and travel. 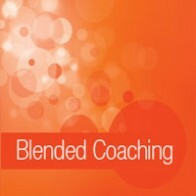 So do you think it’s important for people who are considering building their coaching business around some travel? You don’t think it’s essential, you don’t need to travel. Robyn: I guess the question is why you’re traveling. If you’re traveling to meet a client then not so essential, but it is difficult or challenging. It can be challenging to have the client see that it’s not essential. So last night we had a meet up here in Hong Kong. Hong Kong’s quite the melting pot with lots of expats, you know, a British woman who has been living in Norway and a couple of Chinese people and they were telling me that with their clients they often find the client really wants to meet face to face. That’s one reason they might travel, but not very far, say perhaps from Hong Kong to Shanghai. They might dovetail it into a holiday or something like that and they’ll meet the client and have a couple of sessions face to face. Once that’s been established, the relationship has been established, they can move to just telephone coaching. So I think that’s one….you know, with that type of travel I would probably try not to do it. I would try and really have the client experience coaching on the phone and just perhaps even don’t charge them like let’s have this session if you’ve got a client that really thinks it can’t work. Let’s just have a session and see how it goes. I mean, in my experience once the client does have this session on the phone it’s completely fine. Andrea: Or, I would say, Robyn, another alternative is that….guess what, have them travel to you. Robyn: Yeah, that’s a great idea. 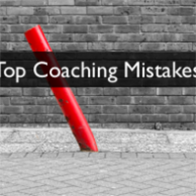 Andrea: I think there are definitely certain target markets like…especially executive coaching. Oftentimes it comes with a bit of a training component so a client will say…I want to see you face to face. People who are doing things like Movement Coaching or we have people who are doing like Maternity Coaching have a physical element. Creativity Coaching has to do with making giant statues and things like that. Often, do you have a little bit of a bias towards face to face work that could benefit from travel? But, Robyn, you were saying…I think you can be judicious about doing a little bit of it, leveraging it, maximising your travel and then moving on into phone. We have actually someone in our community who is a herbalist, who used to do only work…all her consultations in coaching about health and wellness were face to face and only recently has been able to move away from that. Now, she gets to choose. So it definitely can work if you’re to choose. Robyn: Yeah, I think for me the best reason as a coach to travel would be to hold group events. That I would travel for because it’s leveraged not just financially, but also time and energy. You can go to a particular location, you can hold a group workshop or a group training, invite lots of people and it’s a great way to either get started if you’re wanting to launch in a particular area or to just develop the clients that you’ve got and you do a few of those, do you? Andrea: Yeah, well, here’s a great way to start. 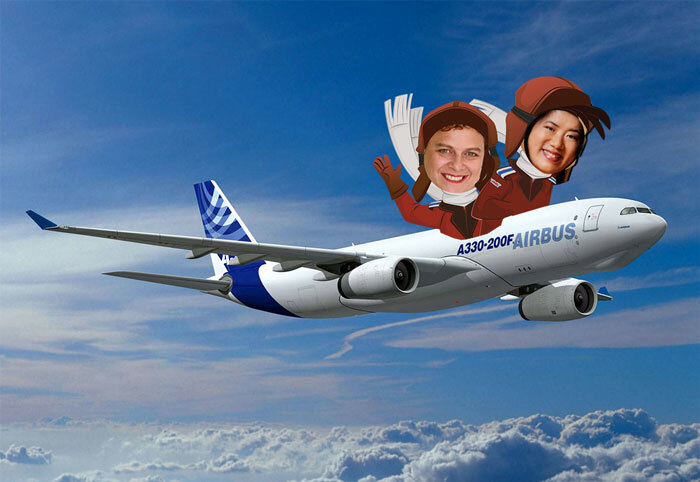 So you’re thinking…well, this is fascinating, I would like to travel and maybe Robyn and Andrea are like, I don’t know, grumpy old women who don’t want to travel anymore, but we want to. That’s great, I love that. What you could do is, in fact….you alluded to this, Robyn. Maybe your parents live in a particular city, you could travel to them and arrange to find a venue and very simply have a small gathering that would piggyback and leverage that existing travel. That would be a lovely way to start. Andrea: In my itinerary, I am like the crown princess of Norway or something. From this minute to this minute, I’m here, from this minute to this minute like the logistics. Reminds me when I used to work with the Embassy of Japan and had to organize a diplomatic trip, but it is part of the way that I feel I’m paying my dues because I don’t take it lightly that jet fuel is a precious commodity. I always….for example, if I have a free lunch and I’m traveling, I will reach out to the community and just like on Twitter and say…I’m going to be having lunch, I’m near here, who knows the place and who wants to come over? Sometimes, I’ve seen people who said..hey, once with Andrea, you pay $20 and the first person who buys it, buys my lunch and sits beside. All of a sudden, we have a table of ten people or ten leads for coaching and you get to know and may leave with a few clients. So these are all creative ideas on how you can make the most out of traveling if you choose to do it. Robyn: Look, I do exactly the same and you know it honestly was insane. The last three nights…because the main reason I’m over here now is the ICF Conference in Taiwan, in Taipei which was brilliant, by the way. So that was great, but while coming all the way over here, and I was flying back through Hong Kong but with two hours in the airport, why do that if I can actually turn it into an overnight and also going Shenzhen where we have 20 graduates. So I added on these three nights, but seriously, we have arrived….like getting off the plane, on the ferry over to China into Zhuhai which was the first city. I think we arrived at 11:00 pm and then we had the event 10:00 am the next morning. Then the whole day was full, then on the ferry, back to Shenzhen, arrived at 5:00 pm. The meet up was at 6:30. Then to Hong Kong, arrived at around 4:30 and the meet up was at 6:00 so just an hour in between each time we arrived somewhere. And Sunny, who I’m traveling with, she got to Hong Kong last night and she looked terrible. I said, you know what, Sunny, why don’t you just spend the night in a hotel and she nearly kissed me. She was so exhausted, but it’s funny because I think it’s a….what they told me, I’m not saying that Sunny is a weakling by any means, but back to what you said about the utmost skill of managing your energy, I sort of forget that….actually, I have a great capacity for this because I really manage it. I manage what I’m eating, when I’m sleeping, I’ve grown all mapped out and I push through and get it all done, but it takes practice, I think. Andrea: Yeah, it takes stamina and it absolutely requires a certain set of tools. There’s also, I think, a kind of mindset towards personal ritual that would be interesting to talk about. Maybe let’s start with tools, do you have any recommendation, Robyn, with regards to how to stay connected or habits that you have with regards to your technology that make it easier for you to travel and be a coach? Robyn: Well, interestingly, this time I found…because it depends where you’re traveling and what sort of bandwidth you have, but as starters, I always make sure that the hotel has Wi-Fi. Like I don’t care if there’s no breakfast, I can go without food, but I can’t go without Wi-Fi. So that’s like critical and if you’re in places where isn’t Wi-Fi, which sometimes can happen, its knowing where to go. So often the bookshop in the town or fancy restaurants, expensive restaurants, you know, go and have a coffee. They’ll definitely have Wi-Fi so just chasing the Wi-Fi and knowing how to get connected to that. That’s my number one anywhere I go. The second thing is…..this is a really…like a good tip. Don’t do data roaming, international data roaming. Buy a data pack if you’re going to be in a place for a particular period of time. So in Taiwan we arrived…we knew we were there for five days. Data roaming would be so expensive, would cost thousands of dollars. At the airport you can buy pretty much now all free to China, all through Asia really, a SIM card the minute you get off. They have packages for different countries and for $300 we got unlimited bandwidth SIM card and what we did when there’s three or four people traveling, just one person buys a SIM card and has one phone operating as the Wi-Fi hub and then everybody hotspots off that phone. Andrea: That’s a hot tip. Robyn: That’s a hot tip and the second hot tip, thanks to Pin…you know, one of the train trips we were on was a 5-hour train trip and, of course, what happens? I mean, a train trip is perfect for working, catching up on stuff, right? Four and half hours in, three hours in, well, everybody’s laptops gone, you know, gone. Everybody’s phone is running out of battery and Pin whips out her portable charger, unbelievable! I bought three, I bought three to take home. These are fantastic. I had one in the past, but it wasn’t very….it was back in the early days when they first came out. This is great, it’s like a little USB and we shared this amongst… everyone decided Pin was their best friend from then on. We were calling her best friend. Everyone wanted to sit next to her. Andrea: Way to go, Pin, way to go! Robyn: And we plugged in. That is like an awesome tip. 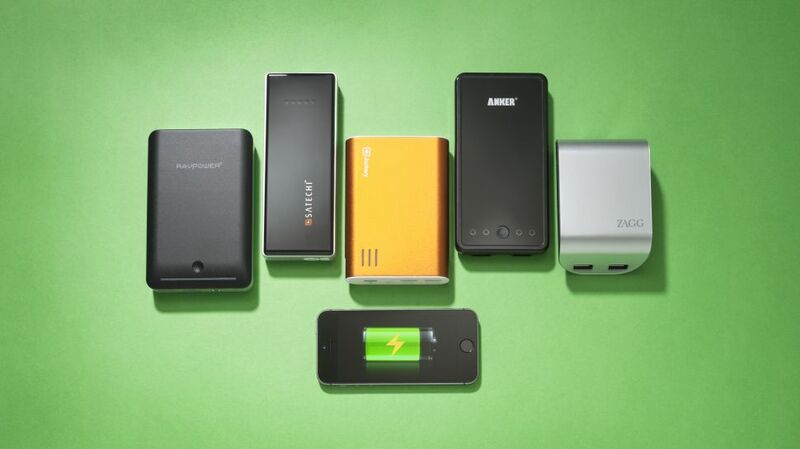 You’ve got your charging pack, you’ve got your Wi-Fi pack kit set to go. Those are my top two. Andrea: Those are brilliant. I’ll only add that the personal charging pack that is now basically indispensable, like you need your AC converter if you’re going to countries that have different power than those of us here. Let’s say if I were to go over to England or to India or whatever, I would need different power you can’t even get in to use my laptop. That sort of personal charger for the laptops and something like that, you can do it in a rental car, anywhere you can get power. I’ve been known to plug my stuff in in the bathroom and sit there because there’s no other place to get power. Hotspotting is interesting, I have been known to actually go around and find…”Excuse me, is this Percy hotspot, are you Percy?”. (laughs) and because I couldn’t get on no matter what I tried with my SIM card whatever and I really needed to get on just a bit before getting on a flight…”Percy, oh my God, I noticed you have a hotspot…”I know this is really weird, I am not stalking you, swear to God I don’t have a weapon, I’ve just gone through security…would you mind if I plugged in for just a tiny bit and you know what, people are so nice. Really, I wouldn’t do that as a matter, of course. I have a client appointment, I need to go find someone who’ll let me beg their hotspot, but it’s not beyond…it’s like borrowing someone’s cell phone. It really is not …it’s no skin off their back really to help you with that. Robyn: You know what, that is so funny. Look, I do the same. Actually, at the airport on my way through this time, in Taipei my charger was packed in my case, not my charger, my adaptor so I couldn’t …I had my charger because I have everything always in waiting in lounges. You sit, I’ll sit on the floor and often just look for the Coke machine. Just go look for the Coke machine, that’s where the power point is. I couldn’t do it because I didn’t have my adaptor and I saw this guy sitting next to the Coke machine, there were two of them huddled around, so went over and I just checked out what they were doing. This guy had…I’ve never seen one of these, it’s like…you know the white part of the Apple charger, the iPhone charger…you can pull the USB thing in and out of. Andrea: That little square white thing. Robyn: Yeah, that one. He had one of those and it had four USB points in it. Andrea: I tell you, Asia, they have all these toys. Robyn: Yeah, and I haven’t found one. Anyway, I made a new friend and sat down and huddled with these other boys and we were all charged our gear. Andrea: These are the kind of things that travel reduces you to. Everyone, thank you very much, everyone, we’ll both take a bow because I have been on this as well. But, yeah, power adaptor, personal charger…..
Robyn: I have one more. Robyn: The other really great tip, ready for this one? So as you say when you go to each new country you need the adaptor for the power in that country. So I’ve got three devices. I don’t know what other people do, but I travel with my laptop, with my iPhone and with my iPad because I really like to just sometimes go down to the coffee shop with my iPad or lie in bed watching with my iPad so I have these three devices. So instead of taking three adaptors for every country…so now I went to three countries, that would be nine adaptors…I travel with a little power board with four outlets, like an extension power board and one adaptor. The minute I get into my hotel room, I whip it out, whack it in and then bang, bang bang, all the devices get plugged in. Andrea: It’s great and so we’ll definitely look to provide some links so that you guys can look these stuff up. These are things that I highly recommend that you have a look at, give test drives. Basically, I have doubles of everything …I only use some of these things in my regular life like my personal charger, but I have doubles that I keep in my overnight bag so when I’m traveling…if I have to, by any chance, go quickly, everything is in there, it’s double, kind of like toiletries. Try to have doubles of everything, you save on packing. When you start to travel a lot these are things that really reduce stress and really reduce anxiety. What are some rituals that you do in a hotel room? Anything to help you with sleep or rest, overcome jetlag, things like that, Robyn? Robyn: I’m just thinking. I mean, it’s quite interesting to me that both of us are like….the first point we want to talk about was connecting, staying connected and making sure everything is powered up. Rituals in a hotel room, just trying to think, not really. I don’t have any actual rituals. I make sure I’ve got water. Oh, milk, I make sure I buy my own milk and put it in the fridge or if I’m thirsty or I want something, I’ll eat it out of the bar fridge and then just go to the 7/Eleven and replace it in the morning. Andrea: There’s two things that I do before setting down and that is definitely to make sure I have breakfast. Andrea: You know, with time zone changes and with the need to be able to get on the phone and coach quickly or go down to a meeting, something like that, I always like to be independent and put breakfast on my own control, whether it’s some nuts or a piece of fruit or something before I head up to my room. Obviously, in many cases, you have the opportunity to room service, but I think it’s outside of your control. It brings someone to your hotel room that’s knocking, like you might be on an important meeting or call. That’s something that’s within your control. The second thing is I have a personal ritual that I find makes a huge difference and that is to actually have some….I do try to be careful with this because I don’t want to make enemies in the housekeeping department wherever I go, but I have a bit of duct tape that I pack with me that I use to cut off little pieces and cover up the lights, the lights that are going to stay on after the main lights are off so television, the little red light, the alarm clock light. I use a little piece of tape to very gently tape shots at the bottom of the curtain if they’re opening these. Makes a huge difference for me, personally, as far as sleep which is at a premium when traveling. So it’s something that I always, always do and yeah…. Robyn: That’s a great tip and as you were talking about that, it made me realize I do the same thing, but I just…I position all my objects, I put something in front of that, I put something in front of that, but the curtains get me every time. It really…that’s a great idea because there’s always that little slit that you can’t quite close and then at 6:00 am you got light streaming on your face. Robyn: Yeah, that’s really a good tip. Andrea: One of the things that I think would be good to bring us back to which is kind of where I come from around travel for coaches and those of us who are bringing excellent coaching around the world to our clients and workshops and so on…tell me this, Robyn, do you think that people would hire a coach who was well rested, traveled well efficiently, effectively versus someone who really did not take care of themselves, really did not sleep well, looked haggard when they arrived at the meeting? Do you think that makes a difference to the things that they pay, whether they’ll hire them again? Robyn: I do think so. Actually, it reminds me of something Merci said in her keynote speech at the conference in Taipei. She was talking about sleep and she said…I manage sleep like other people manage money because you never know when it’s not going to be there and you need to build up reserve. And it’s true, (cross talking), isn’t that great? Watching her travel, she would just go…like it will be mid-afternoon, and she goes…right, I’m going back to my room, I need to sleep. Okay, then, bye and off she goes. She’s absolutely focused on managing her sleep. Andrea: I’ll tell you what, as coaching gets more competitive the people who are….for example, running around with a whole bunch of sleep debts….you can see it in a bad winter… their eyes are carrying a lot of sleep debts that’s like a mortgage. You are not going to get the gig compared to somebody else who’s taking excellent care. So although it may seem indirect, a lot of these things we’re sharing, I know they’re really hard ones. I remember there was….you know, in my young, young coaching days, my first couple, I thought it was a badge of honor to just kill myself and be exhausted. I was important if that was the case. It’s definitely the opposite. You are extra cool in our book if you will proactively take extra good care of yourself when you are traveling. You’re a role model after all to your clients. Robyn: Yeah, definitely. Really good, that’s a lot of really great tips for people on traveling. There’s just one more, we touched on it earlier, the idea of leveraging. You’re going to a particular place to do as much as you can in that place and you mentioned if you’re on a holiday, you could also do a meet up or do whatever in that city and I’m going to day there’s something I’ve stopped doing. I think I used to do that and I think it’s a great thing to do if you’re really looking at your finances, of course. It’s a really good leverage when you do it. I did find out that it really is something that…I don’t know how to explain it…in a different head zone (? ), you know, when I’m with my family and of course my kids, to have to organise them to stay at the hotel, be up in the room, I go….I remember this one event in Lisbon, I had a gig organised and I thought it would be fine, they could stay in the room and I will just go down with….just do it all the way and my daughter was really upset. Just for whatever reason, when you travel kids get antsy and it just….I ended up going, but it didn’t feel good. I just shouldn’t have done the work thing, but maybe because I’m always trying to squeeze….like I couldn’t bear to be there and not do it. But now, I’m really practising the …I’m just here because I want to be here with my family and I don’t have to do work. Andrea: To me, it’s…I mean, I like of think of coaches as having seasons in their business, like when you’re a toddler you might do more mixing because really you’re experimenting a lot more. As you grow up into teenage season, you know, being a teenager in your business that might evolve in shift, but as you become more of an adult, which I would say you’re definitely an adult, most of the time, Robyn, you behave (cross talking). You start to become more discerning. There are certain things you’re not willing to sacrifice, there are certain things you want to prove more so than leveraging every dollar and making your every last dollar as a coach. I’m very similar. We don’t have kids so it’s one of those things that really let me off the hook a whole lot of things. I get away with a lot because I don’t have kids, but I will say, for example, next week, we’ll be going into…..Mike and I will be going into Vancouver. We live on Vancouver Island so we make this trip…it’s a trip to go see my parents and do have a little bit of fun in the city because we live here in the country. I do have two meetings that need to occur in Vancouver, would ideally like to occur and I very much like to not have to travel twice to Vancouver during this winter break. So the criteria I’ll give you who are advance in thinking like….Robyn, yeah, I really need to be careful absolutely that disappointment from a child is like not worth it. How I like to do it so we don’t disappoint my husband in this case is to do my meetings before. So I’m going to travel on Sunday, go to the meeting on Sunday, have meetings from Monday, Mike arrives Tuesday and I’m done Tuesday, Wednesday, Thursday and be finished. Robyn: That’s a great idea. Andrea: It’s not overlapping, it’s just the logistics that are still in common on the trip. Likewise, as kind of a final thing, if and when you’re not traveling, when you’re not traveling with the spouse or a loved one or family, I have learned…..this is amusing actually, painfully learned so I feel happy to pass it on, is that after I’m done with my business trip, it is really, really good not to head straight home. Really good to at least have an evening to yourself before you race home. I think of that as a re-entry, it’s a re-entry period especially when I’ve been hosting live events like 3-day workshops, right full out, full throttle for five days and then boom, turnaround and I’m home. I will tell you, this is like couple therapy nirvana. It’s so true, a day of re-entry is really, really good. Robyn: And be clear as well with kids, I mean, it’s a really challenging…re-entry can be really challenging and particularly for me because I’m the……..if you like to stay at home parent, so what happens when I go away is that that completely switches around and when I return, I just have to be really aware not to….I just have to stand back for like a day or two. It’s quite interesting, the whole re-entry thing. Andrea: It’s not about you once you get home. You’ve been sort of the celebrity, you’re the coach, you’re being feted, the whole thing. You know, when we go out to hotels and get room service, there’s that certain level of feeling like the queen or the king. When you get home that’s probably opposite. Oftentimes, you’re the one that, you know, wiping bums or noses and making food. It is a definite shift that we want you to acknowledge as a coach….that there’s sort of the more successful you more the more that you travel, the more you’re going to want to be really gentle and allow yourself to re-affirm your whole life and do that using the appropriate amount of time. Robyn: Maybe we can end on this concept, but I’m thinking…it occurred to me that as coaches we can use a lot of our coaching skills on ourselves while we travel. An example of that is…I gave a talk at a university in Zhuhai on coaching and I was talking to the graduates……well, they’re about to be graduates….about coaching skills and I picked like four or five that I believed were skills for life not like outside the coach class relationship. To demonstrate it, I used an example from travel and I showed it because i think it’s a really good example of how do you use your coaching skills while you travel and we all know these people that are bad travellers, right? What are bad travellers? Like they panic, they get stressed when things go wrong and what we know for sure when we travel, things go wrong. That’s for sure. So what happened was we were coming from Taipei to Zhuhai via Hong Kong so we flew in to Hong Kong and then you can get the ferry into China straight from there. It’s really cool, you don’t even go through Customs. It’s really weird, it’s like…I was saying to Sunny like if I committed a crime now, what country am I in? You’re not really anywhere. Andrea: It’s an intriguing question to be asking yourself there, Robyn. Robyn: I know, (laughs), I think of the best things. That’s the way it was. We were in this no man’s land in Hong Kong Airport, in the ferry section, about a kilometre ferry and Sunny had booked the tickets, very organised and she got a friend in China to meet us in advance. So we go up to the counter, we’re ready to go. We got there 7:00 and the ferry left at 8:00. The woman behind the counter says to us…alright, I mean, that’s fine, you’ve got your tickets, but your bags might not be off the plane in time to go on to the ferry and we’re like…right! Can we go and get them, we just have to wait and see. What’s the latest? 7:30. If the bags don’t come by 7:30, you can’t get on the ferry. Okay, if we could get on the ferry….you know, I had that talk with the university the next morning at 10:00 am. We’re talking at 7:00 pm now in Hong Kong. So that’s a challenge and then we said what will happen? If the bags don’t arrive, how do we then get our bags? When the bags didn’t arrive then what happens is they’ll be sent back in and then they’ll go back out into the Hong Kong Customs. So we’ll have to go back into this sort of airport section and out through Customs to get our bags. We calculated like it could be 10:30 by the time we even got our bags. Now, that’s a situation where I know people that would be very stressed and panicky, but we just sat down. First of all, we tried to respond not react, the four coaching tools that I use in this talk, Responsibility Versus Blame. Didn’t blame anyone, not ourselves, not Sunny, not the friend, not the ferry people because that is just a waste of energy. We thought strategically and we problem solved and we worked out a back up plan and we sat down, did that for about five or ten minutes before then waiting for the bags. In the end, they did arrive and we continued with our journey. That’s just a classic example of things that happen all the time when you’re traveling. As coaches, I think we’re so lucky because we can use these skills on ourselves to make sure we get through, okay. Andrea: Yeah, I agree. I think that’s a beautiful way to end. Travel can support our businesses and it can also stretch us. I think in a certain way with a certain approach, travel makes us better coaches. So whether you choose to do a little bit or a lot or like Robyn, I think you’ve got more travel coming up, hey. Robyn: I’m thinking….China is calling you. That’s what I’m thinking. Andrea: Shameless plug for that. Hope you enjoyed the episode though. That was a fun one, Robyn. Robyn: Yeah, that was very cool. We’ll see you when we’re all back in our offices. Andrea: Bye for now. See you later. 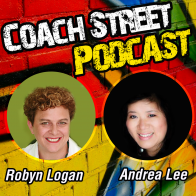 Robyn Logan (CEO, International Coach Academy) and Andrea Lee (Andrea J Lee) talk about all things coaching, sharing both personal and business insights.